Phnom Penh: on 31-December-2017 Amnesty International is launching a one-month campaign calling for the release of jailed opposition CNRP leader Kem Sokha, who was charged with treason and imprisoned in September. 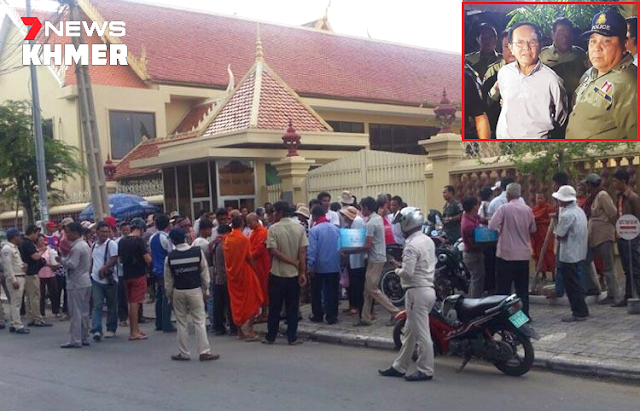 The human rights organization set a deadline for February 1, calling on authorities to release Mr Sokha. Amnesty International plans to submit a petition to Interior Minister Sar Kheng, Foreign Minister Prak Sokhonn, and Prime Minister Hun Sen.
“The detention of Mr Sokha violates his rights to freedom of expression, association and peaceful assembly. We asked that no criminal charges be pursued,” said a statement released by Amnesty. Amnesty International also urged authorities to ensure all political activists in Cambodia can peacefully exercise their rights without fear of arrest or harassment, and to grant Mr Sokha unrestricted and confidential access to his attorney and family, as well as necessary medical care. Political analyst Meas Ny said Amnesty International’s campaign would bring more attention from the international community to the situation in Cambodia. “I don’t think it will influence Cambodian politicians, ” Mr Ny said. “On what ground should we release Kem Sokha? He confessed to trying to overthrow the legitimate government under orders from the United States,” he said. “Do other countries in the world just release traitors without penalty?” Mr Eysan asked. Mr Eysan said that throughout the court’s proceedings and at the detention centre, family and lawyers were allowed to meet with the defendant, and this showed a respect for human rights. “Political activists affiliated with the former opposition still have the rights to do as they please, except for the 118 people who were banned from politics for five years following the Supreme Court ruling,” Mr Eysan said, referring to the dissolution of the opposition CNRP and the ban from politics of its senior members on November 16. “Foreigners, whether other countries or organizations, have no right to meddle with the internal affairs of Cambodia,” he said. 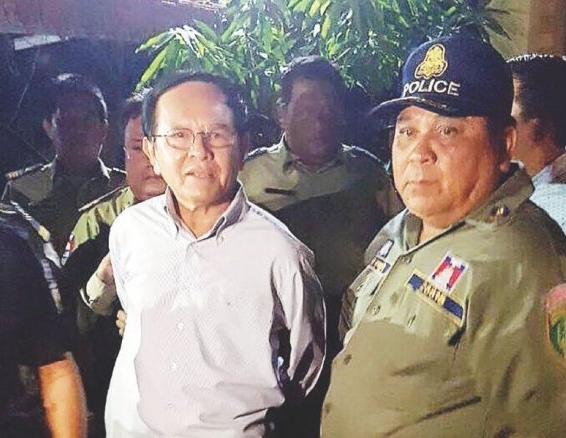 Mr Sokha was arrested on September 3 after video footage from Australia-based ABC news was posted on Facebook, showing the former opposition leader saying the US government had been helping him to push for regime change in Cambodia since 1993.